Coffeeholics have tried numerous methods, techniques and pieces of specialized equipment to achieve a perfect and convenient single cup of drip coffee. Yet, the outcome often resulted in a slow or inconsistent brew which felt more of a compromise than delightful satisfaction. 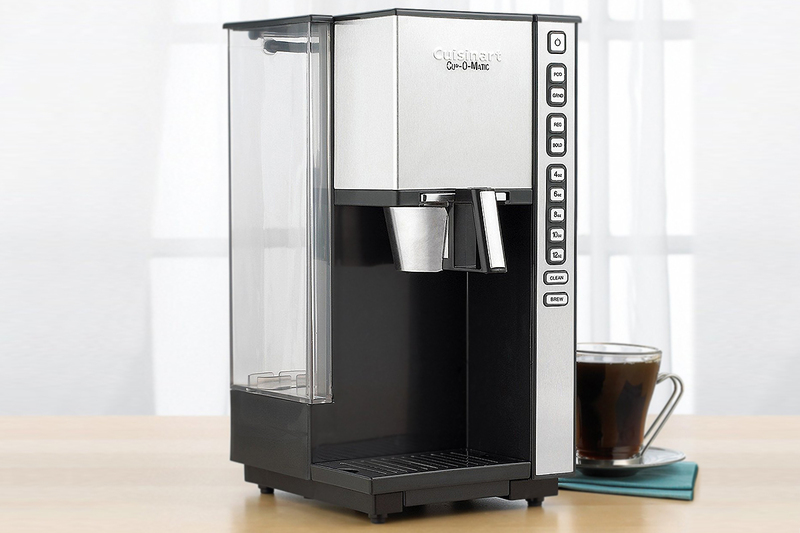 To discover the ideal solution Cuisinart partnered with ADC to design and develop a unique machine that could produce perfect single cups of drip coffee tailored to each drinker’s preferences. User insights revealed the flexibility to utilize both ground and pod-based coffee was critical in solving the variability of range of user preferences. With this awareness the ADC team leveraged its expertise in beverage technology to iterate, craft, and prototype a range of coffee creation solutions that offered unique ways of single cup coffee creation with both pods and ground coffee. The result was a fully developed and patent brewing system that offers both speed and flexibility to allow users to dial in their ideal preferences. This system implements an internal piston located above the chamber, which automatically tamps and seals the coffee or pod during the brewing process. In combination with pressure pump and boiler, this system creates the optimal conditions for a custom cup of coffee. 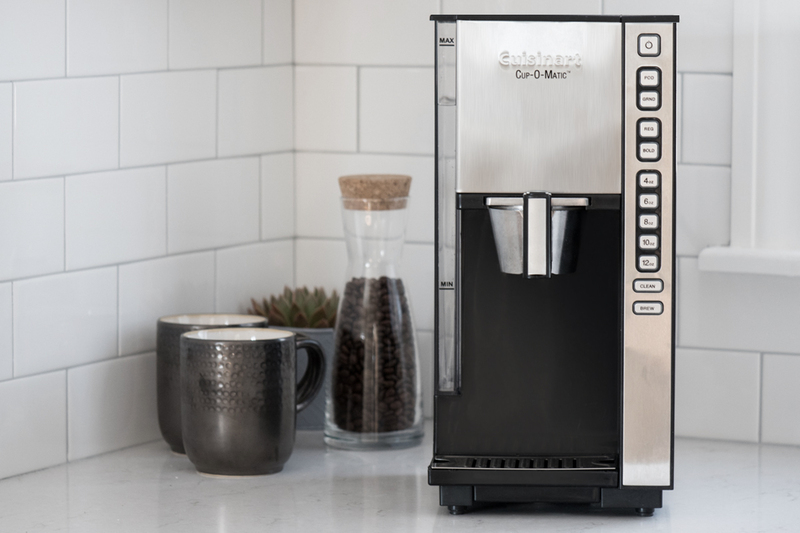 Along with its patented performance, the compact design and intuitive controls provided a desirable coffee maker that was highly attractive to the market’s most savvy coffee drinkers. Regular or bold, large or small – your ideal cup should never be compromised. 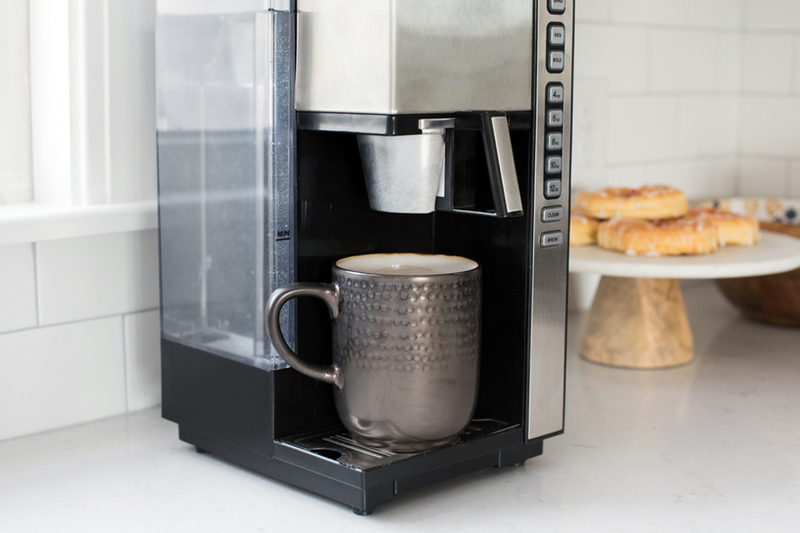 With the Cuisinart Cup-O-Matic Coffeemaker it’s easy to brew your cup the way you want it, every time. ©ADC 2018. All rights reserved.